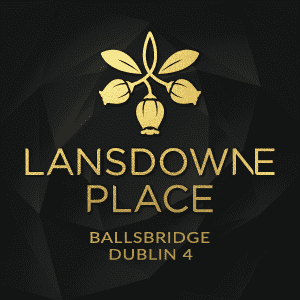 Sales at Lansdowne Place, Chartered Land’s luxury residential development in Ballsbridge, have surpassed targets with over €100 million secured from sales to date. The prices achieved equate to over €1,000 per sq. ft. The Templeton, which was the first building to come on the market, and The Blake, launched in September, are now substantially sold out. Both are stand-alone pavilion style buildings fronting directly on to Lansdowne Road. Prices here for the one, two and three bedroom apartments were from €825,000 to €2.1 million, and from €2.15 million for the penthouses. Sales are very well advanced in The Barrington, the third building on the market. While the larger two bedroom apartments and two bedroom + study units are sold out, there are still several spacious two bedroom apartments, from 954 sq. ft. to 1,627 sq. ft. available. Prices start at €900,000. Also, there are some one bedroom apartments from 703 sq. ft. starting at €825,000 on offer. 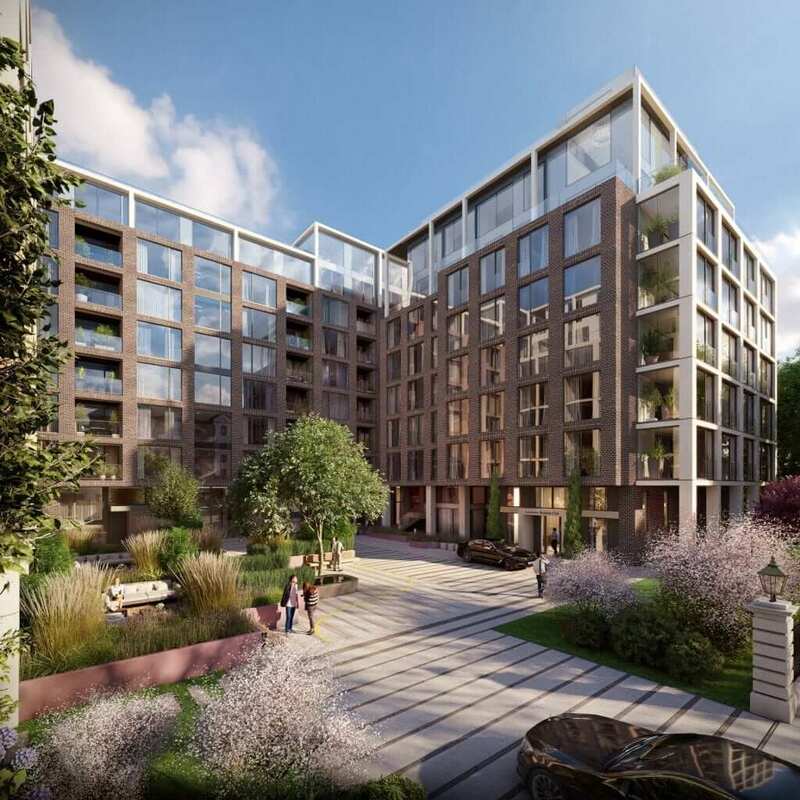 Situated on the corner of Lansdowne Road and Shelbourne Road, Lansdowne Place is being developed on the site of the former Berkeley Court Hotel. This site was also previously home to the Trinity College Botanic Gardens. Construction at the site continues apace with the concrete roof of the first of the seven buildings, The Templeton, poured this week. Work is now underway on the façade, windows and interiors, with completion scheduled for late summer 2018. The Templeton will also house the Residents’ Amenities which will be offered exclusively to residents in Lansdowne Place. Extending to 5,000 sq. ft. over two floors, these facilities are of a standard not previously seen in Dublin. 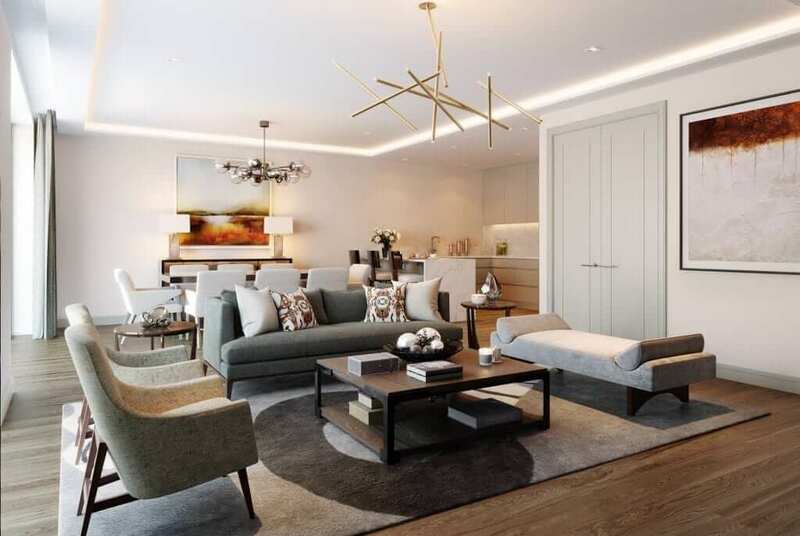 When fully complete, Lansdowne Place will have a total of 217 apartments, including 24 penthouses, all designed by Irish architects O’Mahony Pike and interior architects, Goddard Littlefair. Further sales phases will be launched during 2018 in line with the build programme and it is expected that all construction in Lansdowne Place will be finished by the end of 2019. Viewings at Lansdowne Place show apartments in the impressive, on-site, Marketing Suite are by appointment through the joint agents, Savills (Tel 01 6181300) and Sherry FitzGerald (Tel 01 6671888). Founded in 1999 and led by Chairman Joe O’Reilly and Chief Executive Andrew Gunne, Chartered Land has established itself as one of the largest and most pioneering property development and investment companies in Ireland. Through joint ventures with long-term institutional capital partners, Chartered Land has forged a distinguished portfolio including Dundrum Town Centre; the Bord Gáis Energy Theatre and Grand Canal Square office scheme in Dublin’s Docklands; Swords Pavilions; and a mixed-use retail led development on South King Street, Dublin 2. Lansdowne Place is one of the next chapters in Chartered Land’s vision. The aim is to create a truly original development that will represent for residential what Dundrum Town Centre did for retail.